While your diet plays an important role in keeping your hair from thinning, you can also prevent it by using topical treatments to give your hair the nutrients it needs. 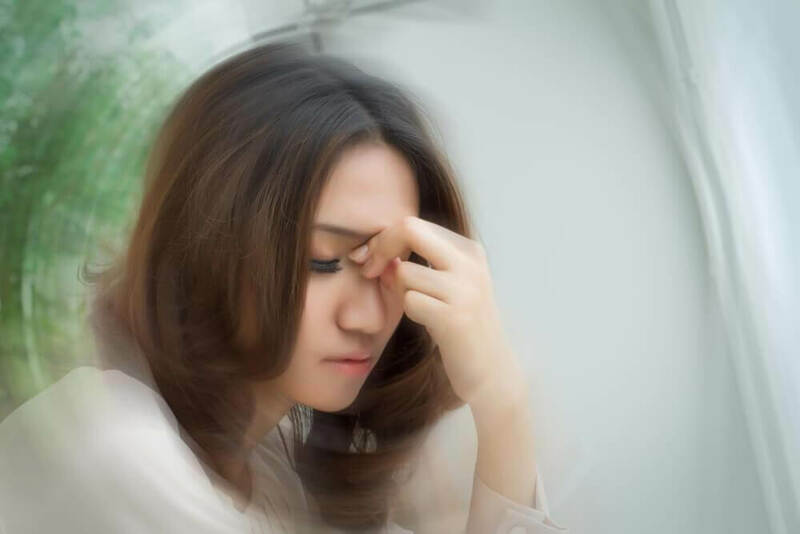 Thinning hair mostly affects men, but it also happens in women and children. 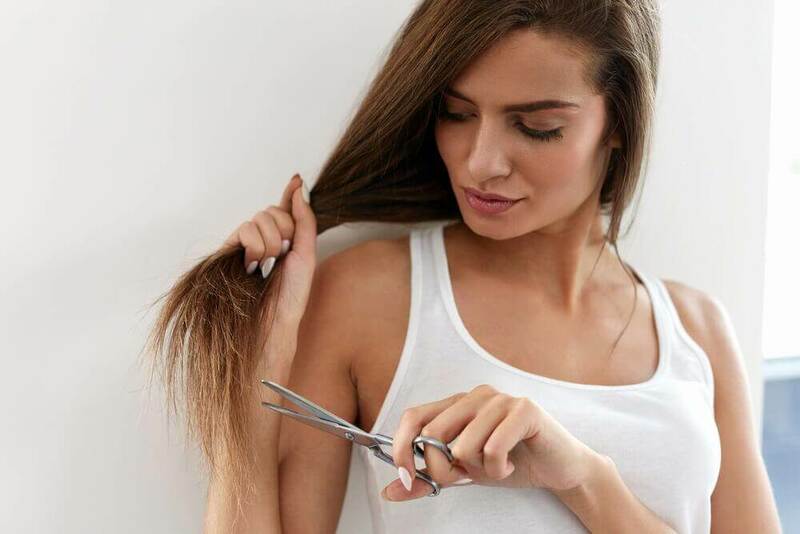 After all, it’s a condition that happens when the strands of your hair are overly fine, which comes along with hair loss and a significant loss of volume. 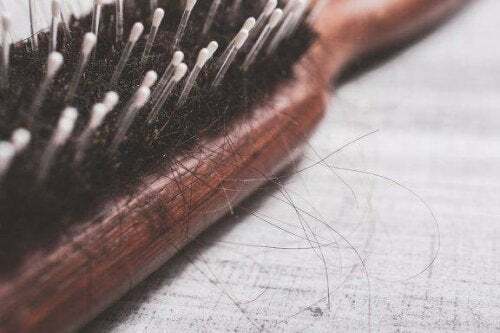 Though it’s normal to shed about 100 strands a day, people with this problem lose much more, and sometimes it even leaves spots of their scalp exposed. It may be temporary in some cases, but it can be recurring, leading to insecurity and self-esteem problems. However, there are now many different products and treatments that help strengthen your hair to counteract hair thinning. These natural treatments are great — they can make your hair thicker and keep it from falling out. Ready to try them? Read on! Due to all of the essential amino acids, minerals, and fatty acids in it, this treatment made out of coconut and lemon juice is a wonderful solution for thinning hair. It stimulates circulation in your scalp, and since it optimizes oxygenation of the hair follicles, it promotes growth. Pour the coconut oil in a container (melt if it is solid), and mix it with the lemon juice. Separate your hair into pieces and smooth the treatment over your roots. Massage for 5 minutes and then let sit for an hour. This natural conditioner made with aloe vera and almond oil will provide your scalp with vitamins and minerals, which will prevent excessive hair loss. Both ingredients regulate oil production and help cleanse and moisturize your hair follicles. Extract the gel from an aloe vera leaf and mix it with the almond oil. Dampen your hair and apply the treatment from the roots all the way to the ends. Let sit 40 minutes and then rinse. 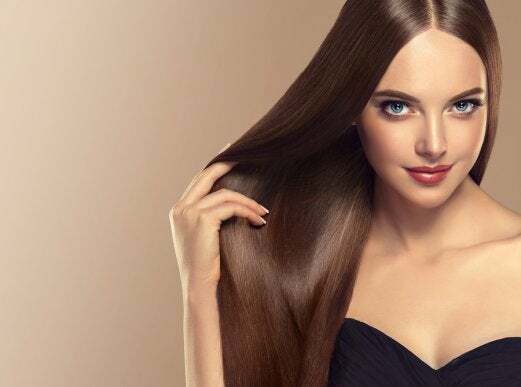 The fatty acids in castor oil make it great at nourishing fragile, breakable hair, thus making it stronger and thicker. In this hair mask we’ll enhance the effect by adding honey, which contains nutrients that are very moisturizing and control hair loss. Add the castor oil to a container and combine it with the honey. On damp hair, apply the treatment to your scalp. Gently massage for 5 minutes and then let sit 30 more minutes. The essential oils we bring together in this natural treatment contain compounds that stimulate hair growth, strengthening it from the roots. It’s perfect for thinning hair, split ends, and dryness. Add the jojoba oil to a container and mix it with the sage and rosemary oils. 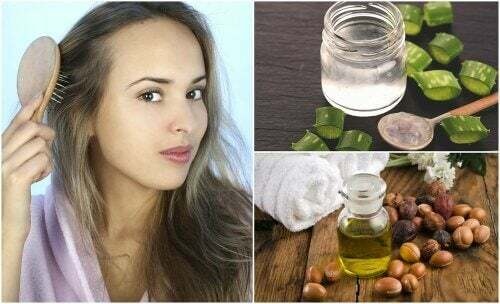 Separate your hair into pieces and smooth the oil over your roots. Massage for 5 minutes and then let sit 30 more minutes. Wash with your normal shampoo and repeat 3 times a week. 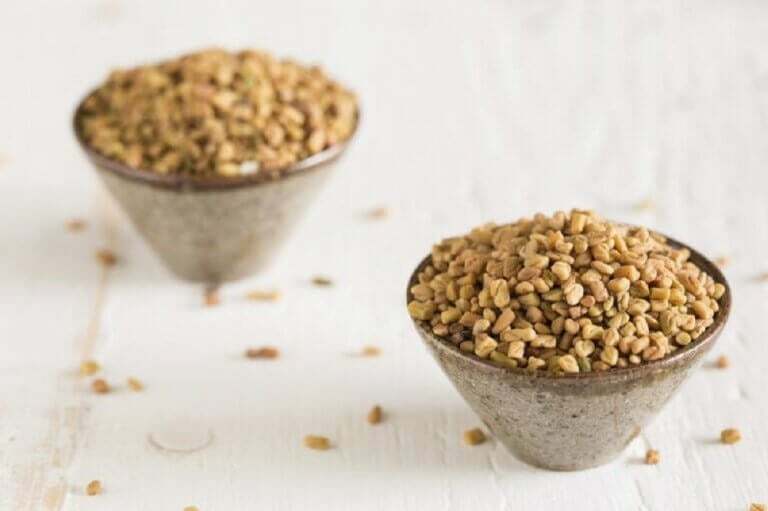 Fenugreek seeds contain fatty acids, antioxidants, and small amounts of amino acids, which help stimulate circulation to your scalp and encourage hair growth. These nutrients will make your hair thicker and reduce hair loss. Heat a cup of water, and once boiling, add the fenugreek seeds. Let sit until soft, and then mash them to form a paste. 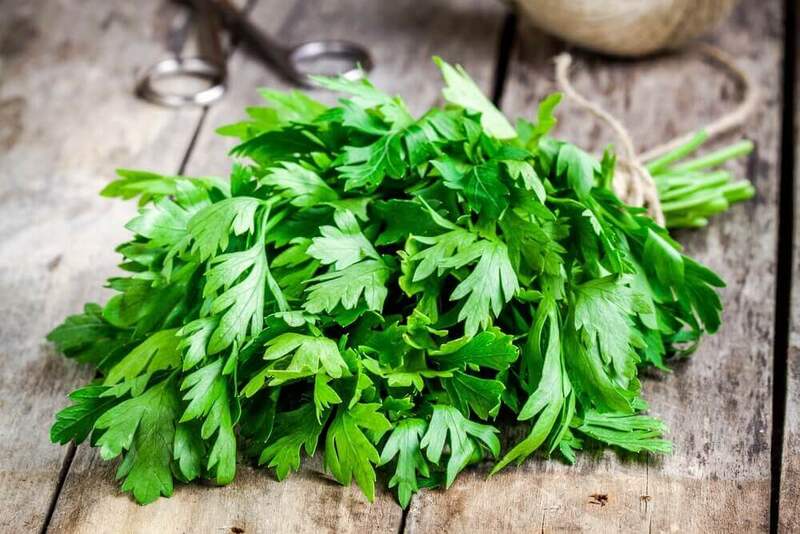 Smooth the fenugreek paste over your scalp and let sit 30 minutes. Is your hair thinning? While you should also watch what you eat and what kind of lifestyle habits you have, using these natural treatments can help. Try the one that seems the most interesting to you and see for yourself how good it is for strong, healthy hair.